Zulkuf Gezen, who was sentenced to life in prison in 2010 for an alleged PKK bomb attack in 2007, hanged himself in his cell in the northwestern province of Tekirdag on Sunday night. His body was transferred from Istanbul to Diyarbakir without notifying the family of his death, and he was buried under police watch with some family members present, according to a report by BBC Turkish. In the wake of Gezen’s death, his uncle, Ahmet Gezen, declared that the reason his nephew hanged himself was to draw attention to the improper isolation of Abdullah Ocalan, the jailed leader of the outlawed Kurdistan Workers’ Party (PKK), and not because of psychological problems. However, Tekirdag Prosecutor’s Office negated the uncle’s explanation, saying that he just hanged himself. Leyla Güven, an HDP parliamentarian, initiated a partial and indefinite hunger strike on November 7, 2018, demanding an end to the isolation of Ocalan. 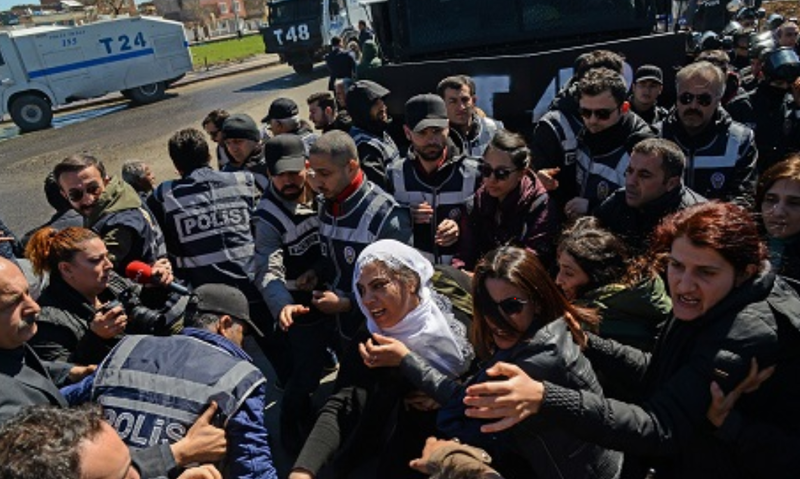 Since then, participation in the strike has been spreading among Kurdish inmates across Turkey, as well as HDP lawmakers. Ocalan, who has been serving his life sentence since 1999, has been held mostly in solitary confinement in Imrali, an island prison in the Marmara Sea. He has not been allowed to see his lawyers since 2011, and the last time he was allowed to see his family was in 2014. He has also been barred from meeting with pro-Kurdish People’s Democratic Party (HDP) lawmakers since April 2015, when the peace process that was aiming to end the decades-long conflict between the ruling Justice and Development Party (AKP) and PKK failed. In a press release, HDP called on the Turkish government to act responsibly and fulfill the demand of breaking the isolation. “From now on, the government will be politically responsible for every negative consequence and death,” HDP warned. Turkey accuses the HDP of having links with PKK, an accusation that HDP denies. Several party seniors, including the co-chair Selahattin Demirtas, have been in jail on various charges, including “managing a terrorist organization”. PKK, listed as a terrorist organization by Turkey, the EU, and the United States, has been fighting for self-rule in the predominantly Kurdish region southeast of Turkey since the 1980s.